This entry was posted in Felt, w, workshop, workshops and tagged Felt, felt class, felt classes, felt flower, felt flower workshop, wo, workshop, workshops by Nicola. Bookmark the permalink. 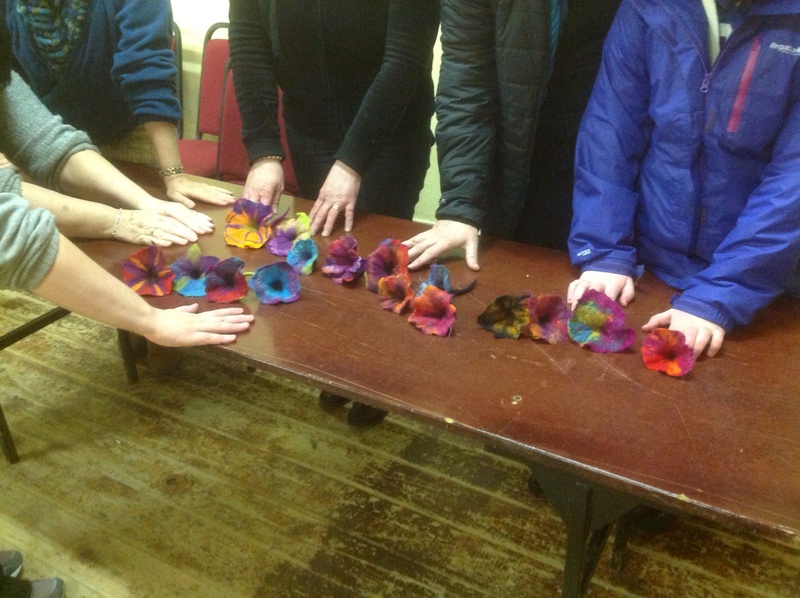 Have you posted any instructions on how to shape these lovely flowers and add a stem? Beautiful Spring-like flowers. Happy that you made it home safe and sound. We, too, are getting snow again this morning. And, just when I thought that Spring was right around the corner. Oh, well, winter can’t last too much longer. I’m envious… I wish there was such a class here where I live ! How cozy !